With Hail, Caesar! 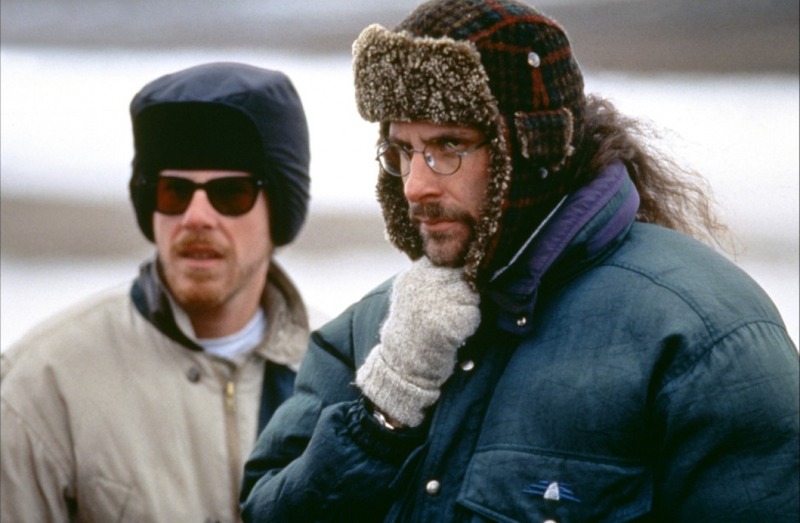 finished filming and awaiting it’s February 2016 release, the Coen Brothers are looking for their next project. Deadline is reporting that they may be heading back to familiar waters by adapting an already existing property. Joel and Ethan Coen are in talks with Warner Bros to adapt Ross MacDonald’s 1966 detective novel Black Money. As an extra added caveat, the duo may even step behind the camera as well. The brothers are no strangers to adapting popular books. They took on True Grit which was a famous novel before John Wayne made Rooster Cogburn his own, as well as No Country for Old Men (I can’t decide whether I like the book or the movie more on that one). While not a direct adaptation, the Coen’s also drew heavily on Dashiel Hammett’s The Glass Key for their masterpiece, Miller’s Crossing. The book Black Money follows MacDonald’s detective Lew Archer as he’s hired to get the dirt on a Frenchman who runs off with his client’s girlfriend. The more Archer digs, the deeper he gets into the foreigner’s dirty past and his many shady dealings. This sounds like its right in the Coen’s wheelhouse. Detectives, conspiracies, dirty money and corruption – you couldn’t ask for better source material for these two. This entry was posted in Breaking News, Film and tagged Black Money, Coen Brothers, The Coen Brothers. Bookmark the permalink. Spoiler: Someone Dies in ‘Captain America: Civil War’… But Who?